Despite the best-laid plans, there are times when you need cash fast. 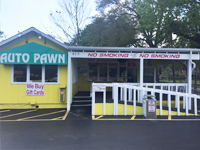 While some people have “go to” options in this case, many don’t consider the major benefits of Auto Pawn. The fact is that your vehicle is one of the biggest investments you’ve ever made. It’s also one of the most valuable. Since auto title loans don’t factor in your credit history, you’ll always get the fairest offer, providing you with the most cash for your vehicle. You’ve seen the ads for check-cashing stores that claim they give you the best deals possible. While that might be true for their specific location, the best deals are actually in auto pawn loans. Since your vehicle is used as collateral, Auto Pawn can offer the maximum loan based on the vehicle’s condition and overall value. In addition, you won’t have to fill out a lot of paperwork or even provide excessive personal information. We’re mostly interested in the value of your vehicle. So long as it’s in proper working order with a title in your name, we can negotiate mutually-beneficial terms. Another benefit of Auto Pawn is that you’ll never play the guessing game when it comes to repayment. Clear terms are laid out up front, so you always know how much you need to repay and when. Also, since loans are based on the total value of your vehicle, you can borrow only the amount you need. We’re able to pawn all types of vehicles up to $100,000. Then there’s the stress relief that auto pawn provides. You can rest assured when you know that you have the cash you need, as well as options for the future. That means no more sleepless nights or struggling to make ends meet. Essentially, you could be driving the answer to your problems right now. One of the things customers consistently comment on is the speed of the auto pawn process. The application and approval process usually takes less than an hour, and you’ll typically have the cash you need in less than 24 hours. As mentioned, since your credit history isn’t considered, the value of your vehicle is the deciding loan factor. That means you don’t need perfect credit, just a functioning vehicle in good condition with a title in your name. 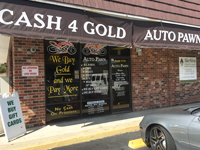 At Auto Pawn, you also get the peace of mind that our trusted and respected team members will also offer you the fairest and most straightforward terms. We pride ourselves on our honesty and integrity. 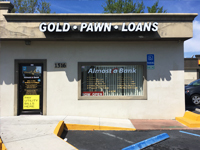 Best of all, with three Volusia County locations, you’re never too far from Auto Pawn. We consider all types of cars, trucks, motorcycles, boats, and other vehicles, as well as gift cards and gold. Contact us today or stop by one of our convenient locations to get started.